Despite Pennsylvania’s spring-like temperatures and ‘April showers’ that continue to water our lawns each week (and most days! ), the official start of summer begins this week. A walk earlier this week on the Switchback Trail made me think otherwise when I took this picture. No…not yet!!! Isn’t it realistic to expect that the summer blooms will blossom before the leaves start to turn? 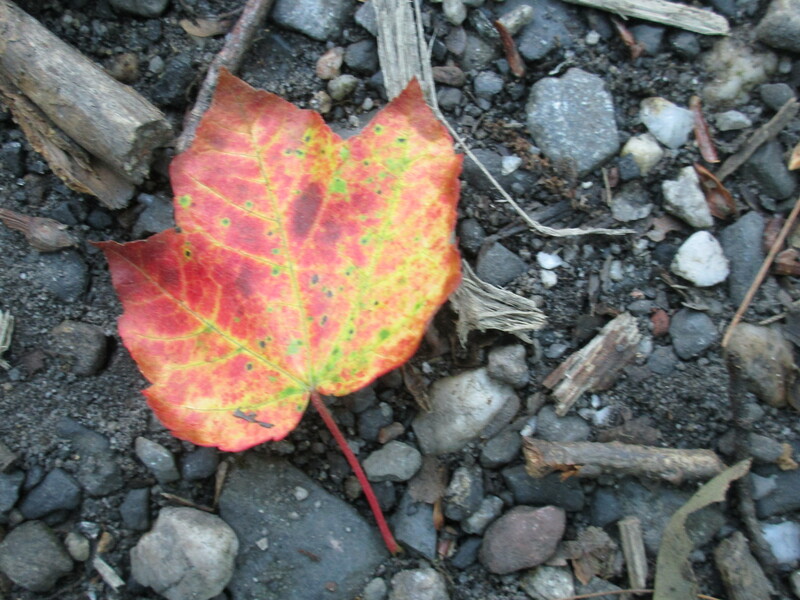 According to New York College of Environmental Science & Forestry, leaves turn color when the chlorophyll breaks down because of changes in the length of daylight and temperature changes. Our recent abundant clouds, rain and cool temperatures fooled this fellow. 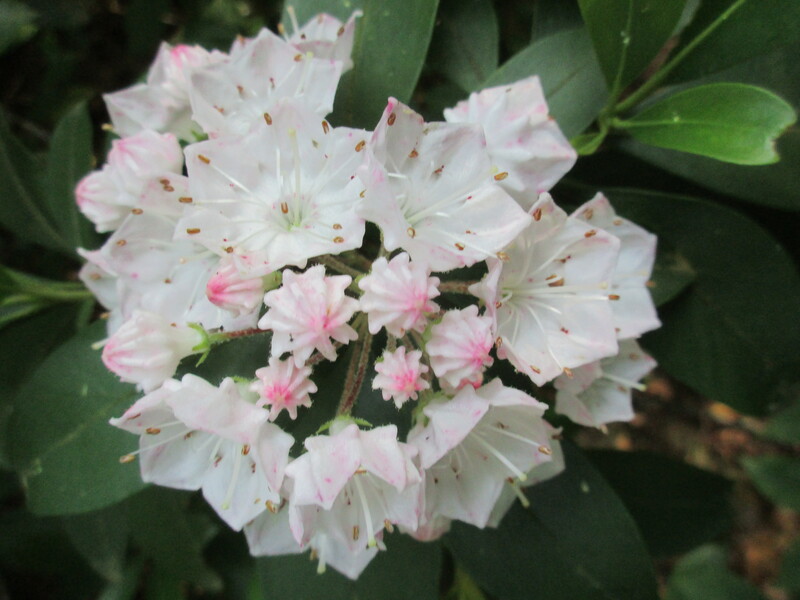 So even though it’s the time of year to expect summer blossoms (like these Mountain Laurel along the trail), sometimes our expectations really may be unrealistic. What we think we know may not be so. It makes me wonder: What else do I believe that causes me to create expectations that may not be realistic? This entry was posted in Inspiration, Nature, Spiritual Living. Bookmark the permalink.